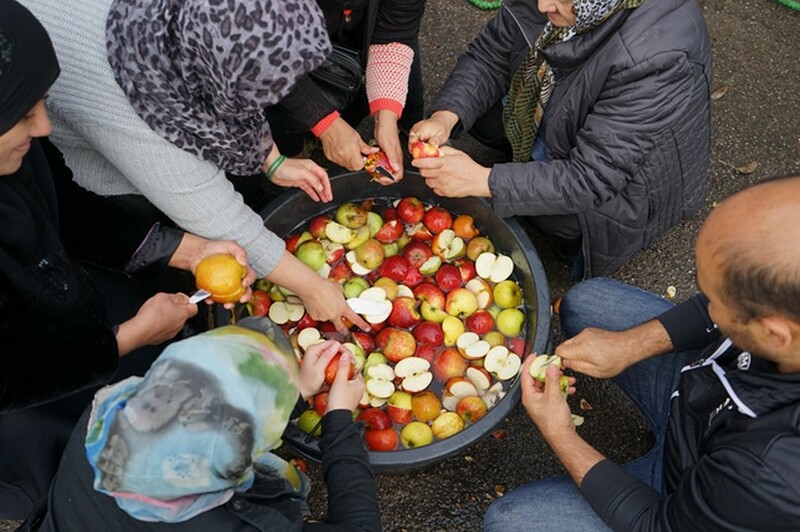 S.E.E.S (= Social, Economic, Ecological, Sustainability) is a prototype of a farm-based educational initiative for asylum seekers at Avnstrup asylum center. 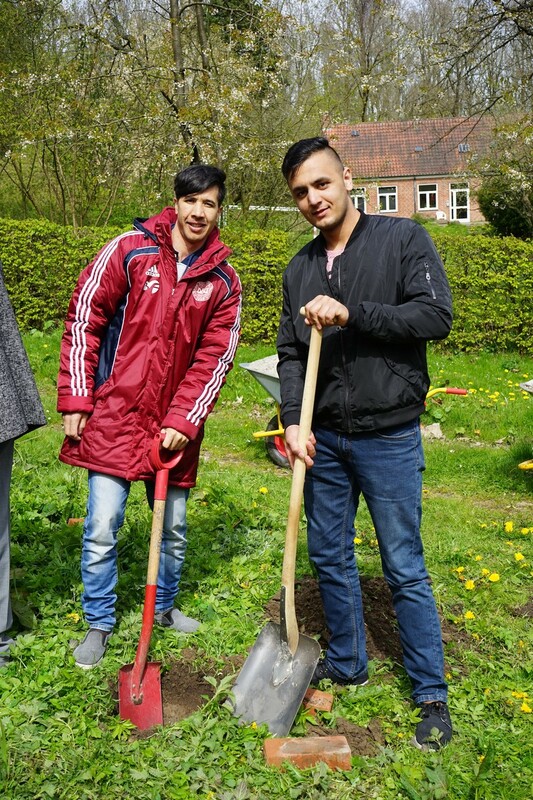 It is cooperation between Chora Connection, the Red Cross and Gaia Education, that educates adult asylum seekers in sustainability and organic food production through gardening and farm visits amongst others. The project thereby aims at connecting the emergent need for refugee education and green transition. The project has been running in 2016 and 2017 and has educated 39 asylum seekers with different nationalities. The project is located at Avnstrup asylum center in the municipality of Lejre, 60 km outside of Copenhagen. The project is a prototype supported by the Danish Immigration Service. According to the project founders, the project wishes to address some of the overall problems related to the disintegration between body and mind, food production and humans, as well as disintegration of the outside and inside of the asylum centers. 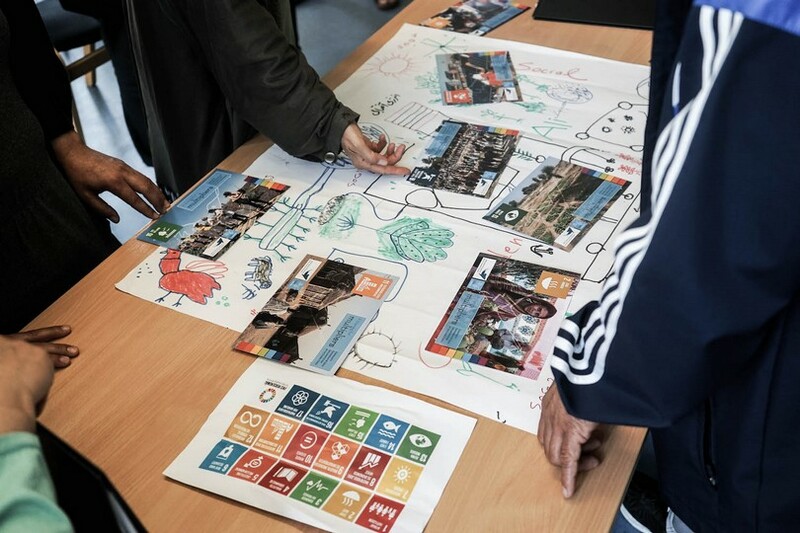 The project therefore aims to connect brain, heart and body through hands-on education in sustainable development, using the surrounding society as its ‘classroom’. Through a six-week course, the participants are taught about organic food systems, sustainability and entrepreneurship through the combination of theoretical and practical teaching and relating this to the UN’s 17 Sustainable Development Goals. As part of the course, the participants establish and/or maintain a garden, based on the principles of permaculture and visit organic farmers. While new knowledge is an important aim, the teachers are equally focused on identifying and supporting participant’s own awareness of their strengths, and to build trust and confidence in themselves. Many participants found the outdoor activities very valuable. Besides achieving new knowledge, the garden work also enhanced well-being and a feeling of togetherness and belonging. Working in the garden together supports the building of friendships across different cultures. It also provided recognizability and a way of escaping the challenges and worries of their current situations as asylum seekers. “As a child I grew up on the countryside, so I am used to being around cows, sheep and so on. Being around the animals calms me, just like the flowers and plants. Being in the nature gives you energy” (Participant, choraconnection.dk/prototype/sees/). Since the climate in Denmark only allows a relatively short growing season, they are currently considering establishing growing-containers that will allow cultivation all year. Experiments with cultivation of mushrooms have been successful in other projects and these experiences can be drawn upon. The participants also visited local organic farmers as part of the teaching. These meetings both served as inspiration and ways of bridging the theoretical teaching with practice. Through these visits, the participants are also introduced to the history of Denmark as a farming nation and some of the current challenges in the Danish farming sector. The meetings also motivated the participants to start dreaming and look more optimistically at the future. Being able to learn something new and start looking ahead was an important relief for many participants after years of life as fugitives. Many expressed a wish to work in organic farming in their future and felt very motivated to make a difference whether in Denmark or another future country. To the farmers the project offered important learning about how to open up their enterprise, how to communicate about it and provided thoughts about how to integrate or cooperate with people with profiles that are not traditionally part of the farm. The collaboration with the asylum center can thereby push reflections about how to modernize the business organization and become an interesting workplace for new professions or backgrounds. According to the project founders, the project thereby connects the emergent need for refugee education and green transition and supports a perspective on refugees as resources rather than a burden. 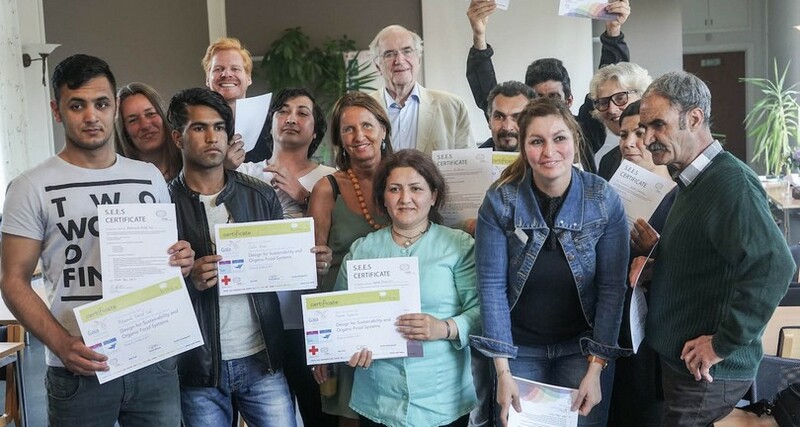 At the end of the course, the participants are handed a diploma to document their new skills and competences. Emil Blauert, co-founder of the project, explains that the best way to get started is to involve people who are close to practice and develop a small-scale project that can develop and grow as you go along. To start large-scale, national projects can be a slow and resource demanding process and therefore it is often better to develop local solutions – at least to begin with. For this project, they identified relevant collaborators by making a brainstorming of the competences they needed and afterwards founds people who could match these. They invited these possible collaborators to a workshop in which they developed and visualized the idea together. The visualization was important since it made the project concrete and practical, and thereby supported engagement and belief in the project. Another important experience is to emphasize the motivation of the project – to be explicit about one’s passion and thereby engage people and maintain the excitement.